A quick post to show you what I've been up to. 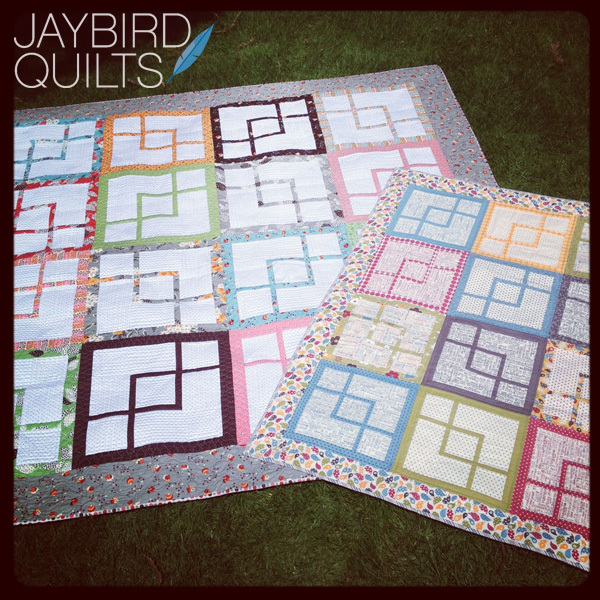 Quilt Market is just over 2 weeks away & I'll be having a booth again. I'm deep into planning, sewing, shipping & pattern writing. I love Instagram for quickly capturing moments, especially during the quilt making process. It took under 2 hours to plan, cut & sew the quilt top. Mom is my binding hero! 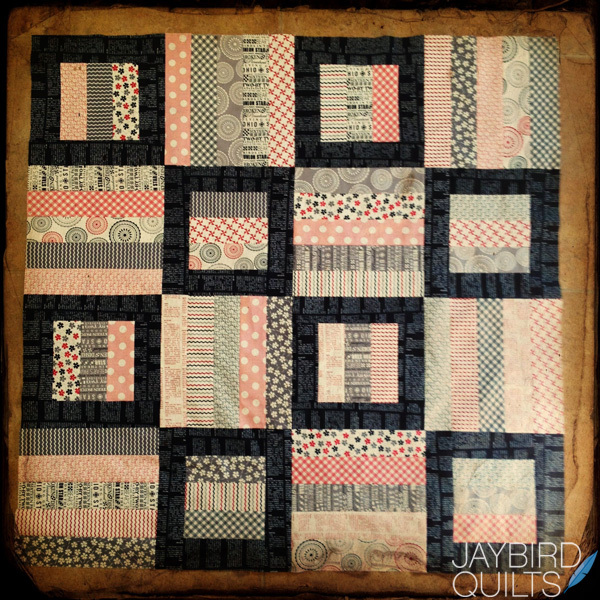 She has bound 4 quilts in the last 5 days!! 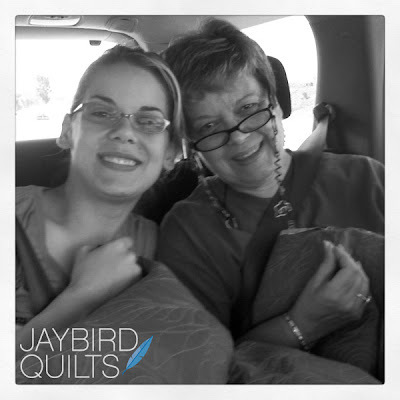 Then together we did 254" of binding in the backseat together during a long car ride! 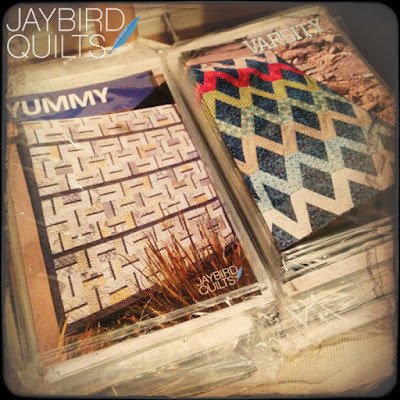 The new patterns are here!! I've been busy getting them in bags & counted so they can be shipped to shops and distributors on Monday morning!! ...ok back to the studio for me!! A virtual whirlwind Julie! I especially like the photo with your Mom, happy smiles and busy hands. Wow! These are exciting times! Wow!!! What a whirlwind!! Love the quilts and that three-in-a-box pattern is nifty! Good luck at Quilt Market!!! Good luck with your booth at market. I hope it all goes well for you. Your stuff is great. HI,, I have been collecting alot of bright colors, Tangerine, teal, blues, anthropology, kaffe, colors with natural design, Can you suggest a quilt design, this will be King Size and my first big project.. ?????? So blessed to have your Mom to help and also spend time together! Julie! 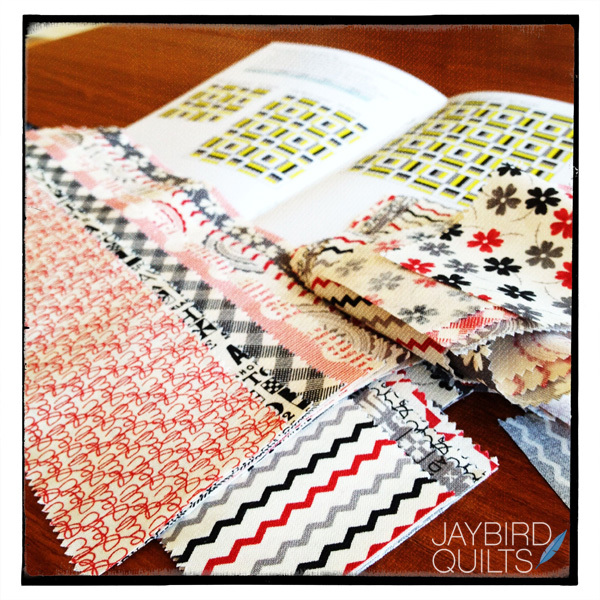 i am totally jealous you are getting to use vanessa's new fabric! i would probably pimp myself out for the opportunity! well, no i wouldn't but i would really think about it! Three in a Box looks so cool! I wish one of my daughters liked to sew, so that we could do it together. I guess I should be glad that my granddaughter, at age 11, likes to! 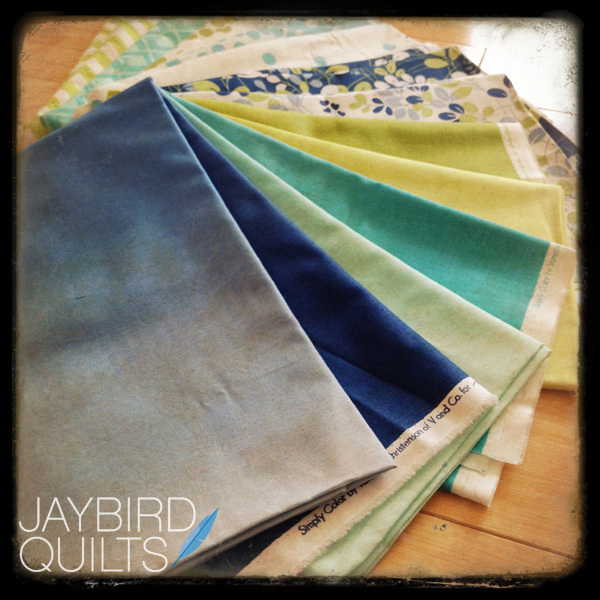 I'm so jealous that you already have have some of that yummy sweetwater fabric! It looks great w/ your pattern. Good luck w/ getting everything ready for market! Looks like you're making a ton of progress! Excited to see what you're going to make with Simply Color, I love that line!